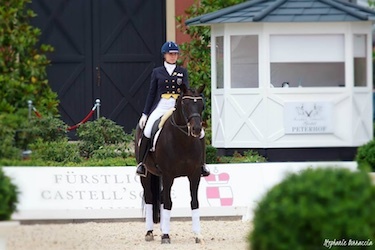 During her career Terhi Stegars has trained under such well known individuals as Jürgen Bockmann and Dolf Dietram Keller. She has also had the benefit of Holger Schmezer’s experience, who was the long term trainer of the German national team. 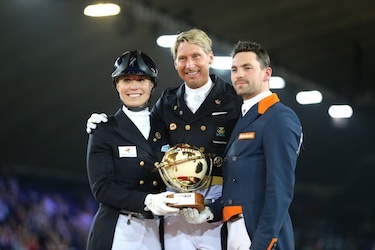 Currently Terhi trains with Kyra Kyrklund and her husband Richard White. 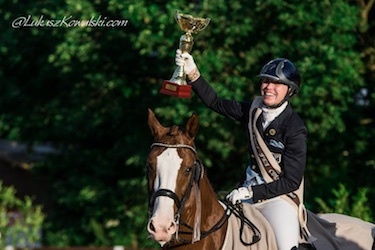 She is a common sight on the international circuit and is most proud of the 5* shows that she has won, competing in the World Championships , three times in the European Championships and twice in the World Cup Finals. Terhi’s wide experience on the German and Luxembourg national as well as international level can work to your advantage. 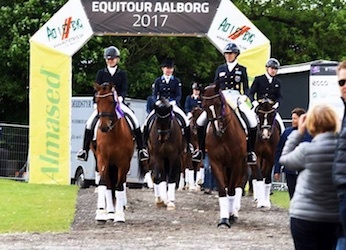 Not only does she compete frequently, she also attends numerous galas and stallion shows in Neumünster, Verden, Münster, Aachen, Grebin and Webelsgrund plus auctions in Klosterhof Medingen and Neumünster on a regular basis.